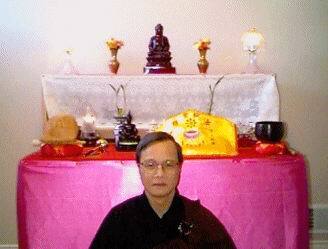 I took refuge at the IBPS (International Buddhist Progress Society) of Vancouver, BC or better known as Fo Guang Shan in 1995. 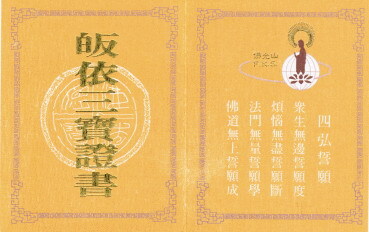 The ceremony was held by Venerable Master Hsing Yun, the founder of Fo Guang Shan, and I was given a Dharma name Po-foo. 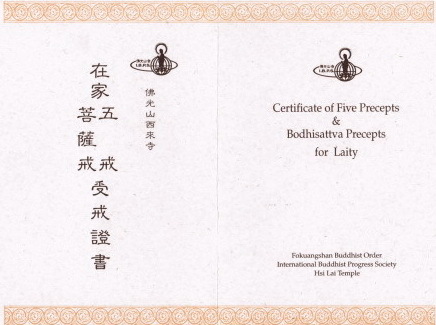 Then in 1997, I took the Five Precepts at the Hsi Lai Temple in California, a ceremony also held by Venerable Master Hsing Yun. 我學佛的因緣是從一九九五年開始, 當年六月從中文報章上看到有一個佛學講座的廣告, 于是便前往參加. 同年在佛光山溫哥華講堂皈依三寶, 由星雲大師主持儀式. 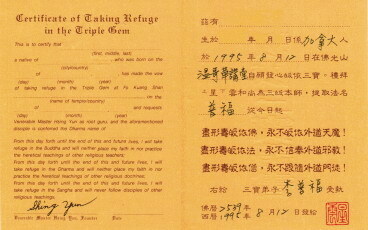 並獲賜法名〔普福〕. 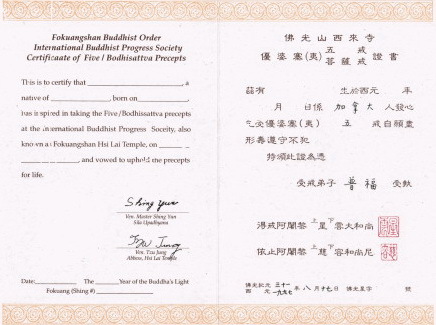 又于 一九九七年在美國西來寺接受五戒, 當時亦由星雲大師主持三皈五戒儀式.